Are you Under 35? Or do you have a friend, colleague or family member who is? A generous donor is offering a matched grant for young members, giving them the opportunity join Impact100 Sydney for just $500. The remaining $500 will be paid by our donor to make up the full $1000 donation as part of our $100,000 grant. This offer is designed to engage young people in philanthropy sooner by making it more accessible, and is a fantastic way to experience the power of collective giving at only half the usual cost. If you or someone you know would be interested in taking up this offer please contact Andrew Muston, Young Member Liaison, to discuss it further and make your donation. “From the bottom of our hearts, we thank Impact100 Sydney for making this small, gritty program possible. It really is providing the most amazing and practical opportunities to change girls’ lives. We were thrilled to receive the first grant of $100,000 and hope the results of our program truly show that models such as this can genuinely make a difference." We were thrilled to celebrate International Women's Day this week with a special breakfast event in partnership with SmartWomen Connect and JBWere. The guest speaker was Roxanne McMurray of Leichhardt Women's Community Health Centre (LWCHC), who inspired the audience by sharing the success of the 2017 grant-winning project, 'Empowering Girls to Grow' or EGG. ‘Empowering Girls to Grow’ was created to help a group of girls who are often put in the ‘too hard basket’ – girls who are seen as not ready or too troubled for mainstream career and mentoring programs. They are girls aged 13-17 years who can’t live at home due to domestic violence, sexual abuse, neglect, their parents’ drug addiction, and family breakdown. Some have been removed from their families by the Department of Family and Community Services, other girls are rescued from forced child marriage or trafficking and brought to the refuge by the Federal Police. In some cases girls as young as 13 and 14 have their identities protected, with name changes and hidden enrolments at school to protect them from their families. They don’t have family and role models they can look up to, or extended family networks that create happy experiences and help out with the general business of ‘growing up’. My colleagues and I had known there was a need for a specific program for these girls for some time, but we didn’t have the capacity to create and deliver it – until we heard about Impact100 Sydney and the $100,000 grant on offer, which has now provided 100% of the funding for our program for two years. So how does it work? EGG aims to put 20 girls a year (40 in total over two years) through a 10-step program. Each girl is matched one-on-one with a mentor in the career of their choice, providing on-the-job work experience and support with CV preparation. When designing the program, it became obvious that while there were other mentoring programs, none had a targeted training and work-readiness, gender-specific approach for highly disadvantaged young women. To truly engage these girls it would need to be tailored and offer more than the opportunity to meet their mentor for a coffee and chat. We really believe that the number one factor that will get young girls in refuges out of their current circumstances and into better lives is stability – stable housing – and stable housing comes from stable employment. Education, a healthy self-esteem and connections lay the foundation for employment. So that was our thinking and our goal, and I’m proud to say we are seeing amazing results. The Impact100 Sydney grant enabled us to employ a part-time coordinator to run the program and ensure it was structured and well organised. 12 girls have now been through the program, and we are on track to reach our target of 20 by the end of June. · All have been offered to continue working with their mentor, either as a volunteer or paid. · Three have joined Taronga Zoo’s selective 'Youth at the Zoo' volunteering program and are helping zoo keepers, are welcoming members of the public and working on reception. · And all said they are clearer about what they want to do when they leave school, two of them changing from their original careers. From the bottom of our hearts, we thank Impact100 Sydney for making this small, gritty program possible. It really is providing the most amazing and practical opportunities to change girls’ lives, and in its own way, to #pressforprogress. It’s a delight to celebrate International Women’s Day with all of you, and everyone involved with Impact100 Sydney. Without your fantastic support and enthusiasm, this program would not exist. Want to be part of the movement that is making programs like this possible? This is a key message from the founders of #GivingTuesday – a global movement to celebrate and encourage giving, which is aptly timed to kick off the traditional Christmas giving season and to act as a reminder of the ‘reason for the season’. Impact100Sydney is actively promoting #GivingTuesday through its next event to be held on Tuesday 28th November – where eight Sydney community organisations who have been selected as semi-finalists for our 2018 $100,000 grant will be announced. Like #GivingTuesday, Impact100Sydney aims to inspire people to come together and take collective action to improve their communities, and to give back in smarter ways to local causes. Our model is simple – we invite individuals to join with 99 others, each donating $1,000 to create an annual high impact $100,000 grant. ” Through a uniquely participatory and engaging process, individuals are able to not only give but more importantly connect more closely with where their giving is going. For this year it will be to organisations working hard to build a more socially inclusive Sydney and support our youth at risk, refugee, and/or Aboriginal and Torres Strait Islander communities” says Nicole Shore, Impact100Sydney Grants Committee Chair. Recent research out of the US on Giving Circles like Impact100 Sydney indicates that those involved aren’t necessarily looking to support major charities, but are finding local causes and organisations within their communities that might otherwise be overlooked and where the grant can have a greater transformational impact. “To have clear visibility and know that your donation, combined with those of others, can be ultimately make a high-impact and substantial difference to individuals in need here in Sydney is very rewarding,” says Jeremy Motbey, Impact100 Member. Impact100Sydney, only in its second year, is a relatively new group of willing volunteers all giving their time and donations to make a tangible difference to the lives of people in need within this great city we call home. Joining is as simple as donating and then #Giving as much time as you are willing to be involved in the grants selection process, which will take place between February and April next year. There is still plenty of opportunity to join us – the more members, the more support for these worthy local causes. Come along to The Occidental Hotel, in Sydney CBD, from 6.00pm-8.30pm on Tuesday 28th November to be inspired and learn more about Impact100 Sydney. Please RSVP via www.impact100sydney.org.au/events. The Impact100 Council recognises that giving is a learned behaviour and diverse perspectives lead to better outcomes. These are the founding principles of the Impact100 Council Young Philanthropist Program. Thanks to the support of Carrie Morgridge and the Morgridge Family Foundation, the Impact100 Council Young Philanthropist Program allows people between the ages of 18 and 39 to become full members of the Impact100 Chapter in their community through a matching gift membership over the course of three years. The sliding scale invites the young philanthropist to budget over time and embed the philosophy of giving into their lives. In order to qualify for the matching grant, young philanthropists must commit to funding their portion of the financial obligation as well as active participation on the committee of their choice. If you are a budding philanthropist that would benefit from such a program – please contact us as soon as possible at corinne@impact100sydney.org.au .We would love to hear from you. Impact100 Sydney is your opportunity to make a real difference to the lives of Sydney-siders by joining one of the fastest growing movements in philanthropy worldwide. On behalf of the Impact100 Sydney Advisory Committee, I invite you to join us for an Information evening about Impact100 Sydney. 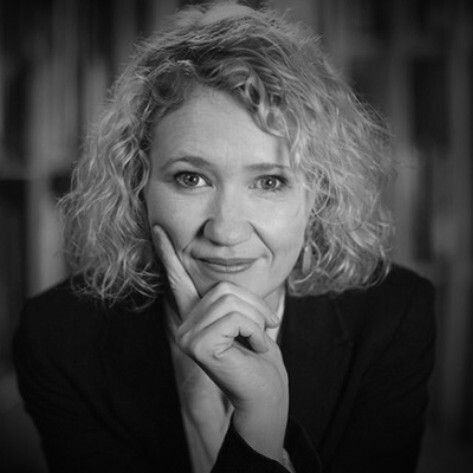 Hear Dr Catherine Keenan, Australia's Local Hero 2016 & Executive Director of the Sydney Story Factory talk about Sydney, youth & the power of impact, as well as next generation philanthropists, Nina Skrzynski and Kerry Gonski. Please click the button below to register by Thursday, 31 March 2016. Former Sydney Morning Herald journalist Dr Catherine Keenan was named Australia's Local Hero for 2016 for her work as a youth educator. Dr Keenan left her position as a literary editor and arts journalist at the Sydney Morning Herald in February 2012 to establish the Sydney Story Factory, a not-for-profit creative writing centre for marginalised young people. Nina is founder of the exciting contemporary interior design firm, Nina May Interiors. She has had an extensive design career internationally whilst exploring her passion for philanthropy by holding several board directorships in the not-for-profit sector. She is Chair of the Nexus Global Youth Summit Australia, Vice Chair of The Social Outfit, Trustee of the Sky Foundation, Co-founder of 10×10 Philanthropy and member of the New Generation of Giving program. As well as design, her true passion is social innovation and disruptive fundraising models that engage with our next generation of philanthropists. 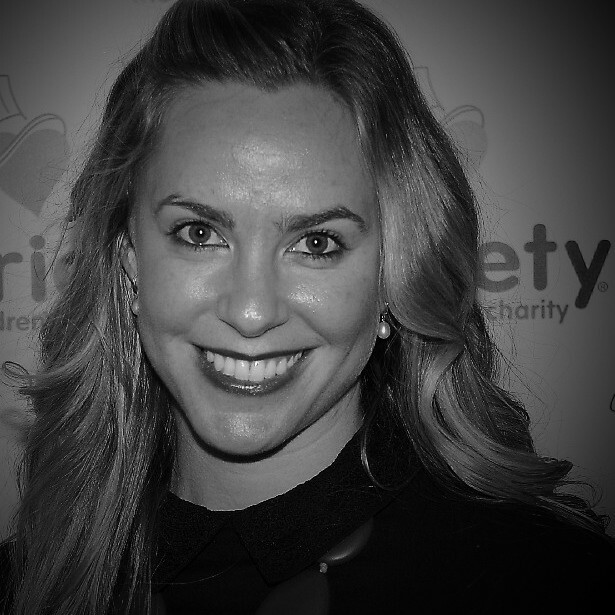 Kerry joined Variety as the Corporate Partnerships Manager in 2012, was promoted to Head of Fundraising in 2014, and has recently moved into her new role as Donor Relations Director. Inspired by Anne Frank’s saying, “No one has ever become poor by giving”, Kerry is determined to bring shared value to every donor relationship with Variety. In her current role, Kerry is responsible for holding key relationships with major donors for Variety (individuals, as well as private trusts and foundations), and working closely with other areas of the organisation to ensure a seamless donor experience. Impact100 Sydney is a giving circle for anyone wanting to support charitable projects that make a real difference in Sydney. As part of one of the fastest growing movements in philanthropy worldwide, Impact100 Sydney brings together at least 100 members who donate $1,000 or more annually. Donations are pooled to make a high impact grant of $100,000 to a local charity to fund a significant project with real and measurable outcomes. Impact100 Sydney gives members an opportunity to experience philanthropy. We offer accessible & inclusive philanthropy by engaging and enriching groups of community-minded people who want to give. We make big grants to small charities to achieve maximum immediate impact through a collaborative decision making process. Each year members choose which project to fund from a short list of well-researched projects with outstanding prospects for making a significant and new impact on the Sydney community. In 2016, Impact100 Sydney will support a project focused on making a positive difference to the lives of Sydney’s young people at risk. We believe that all Sydney-siders should have access to opportunity. We know that this isn’t the case - that one in six young Australians is living in poverty and that youth unemployment is on the rise. Coupled with a range of social problems such as intergenerational poverty, youth suicide, disability, drug and alcohol abuse, and domestic violence – the needs of Sydney’s young people are both broad and complex. For more information about Impact100 Sydney or to become a member, visit impact100sydney.org.au, email info@impact100sydney.org.au, or sign up for our newsletter. Impact100 Sydney is a sub-fund of Sydney Community Foundation. Impact100 Sydney would like to thank our valued sponsors and supporters. We couldn't do this without your help.